There is a TON of information about crowdfunding on the interwebs but there isn’t a ton of information about crowdfunding books in particular, which is why you and I are here together. I’ve provided resources below to get you started so you can learn what other authors are doing on Kickstarter and IndieGoGo. You wouldn’t go to a eye doctor for a toothache so don’t spend too much time trying to adapt crowdfunding strategies that are specific to games, travel bags, and neck pillows. Instead, learn directly from other authors and illustrators who are successfully crowdfunding their work. The power of community is remarkable. Crowdfunding is truly an example of how the sum is more than the whole of its parts. The energy created when a group of people come together to make something happen is a net positive. The backers enjoy being part of the creation process and the creator receives necessary financial assistance to make it happen. Official definition: Crowdfunding is the practice of funding a project or venture by raising money from a large number of people who each contribute a relatively small amount, typically via the Internet. There are different types of crowdfunding—equity-based, debt-based, rewards-based, and donation-based. Equity-based—best for small businesses or start-ups who are looking for big bucks when starting their business. The original investment is paid back in equity. Debt-based—contributors fund the company or project and the debt is repaid at a set interest rate over time. Best for small businesses who are looking for financial loans. Rewards-based—best for entrepreneurs and small businesses who are looking for a short-term burst of funding to cover a specific project or create a specific product. This is the best type of crowdfunding for authors who want to crowdfund their books. Donation-based—funds are never repaid and nothing is given in exchange for the funds. Donation-based crowdfunding is popular with nonprofit organizations and individuals. Equity- and debt-based crowdfunding might be well-suited for small publishing houses who are looking to raise a large sum of funds to support their start-up. Rewards-based crowdfunding is the best for individual authors or small publishers looking to launch one book at a time because you are providing extra value in the form of rewards that enhance the readers’ enjoyment of your book or you as an author. Rewards can range from bookmarks and postcards to virtual or in-person book club reading sessions, collaboration on the next book, or some other way to provide valuable engagement between the readers and you, the creator. Rewards-based crowdfunding isn’t charity—you are giving your backers a lot of valuable rewards in exchange for their pledge. For this reason, I encourage authors to steer clear of donation-based crowdfunding platforms like GoFundMe. Those platforms are excellent for raising funds for nonprofits and people in need but your books and entrepreneurship endeavors should never be seen as needing charitable donations. We are building a business, not asking for handouts. Crowdfunding is a full-time effort for 60-120 days, depending on your audience, campaign goal, and marketing strategy. There is nothing easy about raising funds and many first-time creators are shocked at how much effort is required to raise even a modest amount (<$5k). Crowdfunding is not something you can do alone. Crowdfunding isn’t something you can do on your own—crowd is in the name, after all. Your audience might grow by the end of your campaign but you really need to build your audience FIRST and then launch your campaign. “I noticed a direct correlation between how hard I was pushing my campaign via email and social media and the number of backers I’d get each day. If I didn’t do anything that day, I wouldn’t see any backers.” Roger Blonder shared with me during an interview about how crowdfunding requires a lot of outreach every day of the campaign in order to see traction. When is the best time to crowdfund your book? In general, the worst times to launch a crowdfunding campaign is on the 1st of any month. The months of July, August, and December are the worst months to crowdfund because of the slow summer months or the busy holiday season. It’s best to launch your campaign on a Monday or Tuesday and end on a Thursday or Friday in the evening with 30ish days in between. I recommend researching the platforms, backing projects that resonate with you, and experience the entire crowdfunding process as a backer before you create your first campaign. Building your campaign strategy can take 30-60 days, so be sure to give yourself plenty of time before you launch to learn, create, and get feedback. Some children’s book authors use crowdfunding to test their book’s concept. The book is partly finished or a few illustrations are complete the story is finished and they use crowdfunding to see if there is a large enough audience to justify the upfront expense of a print run. For these authors, the best time to crowdfund their book is after they’ve built a following, have commissioned some artwork and the book’s cover and can dedicate 30+ days to marketing their book’s campaign full-time. Some authors have their books nearly complete and want to use Kickstarter or IndieGoGo to offer their readers additional rewards to incentivize pre-orders. The funds raised during the campaign will offset their expenses but really, they are using the platform as a marketing tool. The books sold during the crowdfunding campaign can represent the first three months of book sales for many authors. Phew, that was a lot of information and I hope it’s just the beginning of your research. If so, book a 20-minute free consultation with me to see if crowdfunding your book is right for you. I offer campaign page reviews, and 1:1 strategy sessions if you are looking to crush your crowdfunding goals. Click here to read more about the personalized services I offer authors. Prefer to do it on your own? I offer a course on crowdfunding for authors for those who want all of the advice, tips, and strategies but don’t need personalized help. The course includes access to the Crowdfunding Vault which contains customizable email templates, pitch documents, autoresponder text, case studies, checklists, and spreadsheets to help you plan every aspect of your campaign. Enroll in the Crowdfunding Vault without the course and manage your crowdfunding campaign more efficiently with these tools and resources. If we haven’t already connected, be sure to follow me on your preferred social media platform so you don’t miss out on helpful tips and strategies to crowdfund your book. Lisa Ferland is a crowdfunding consultant for children’s book authors and indie authors to help them design successful crowdfunding strategies. 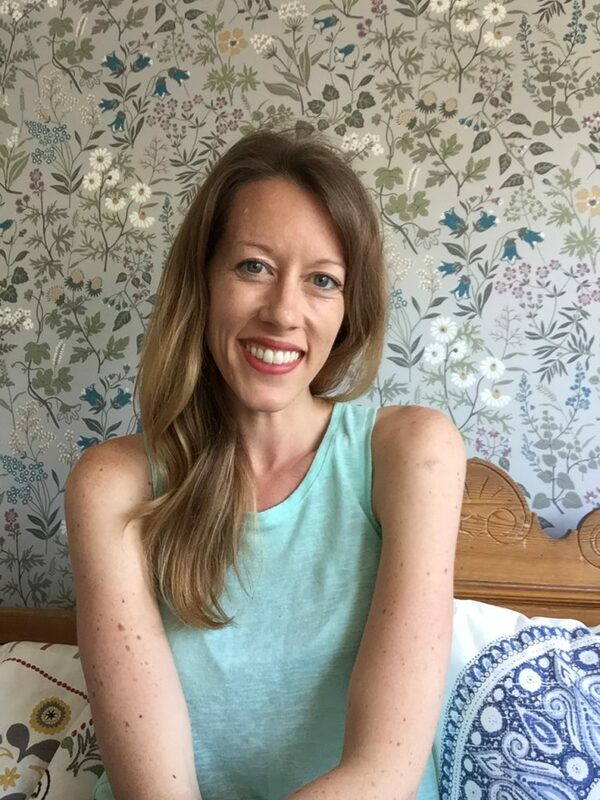 She’s successfully funded books on both Kickstarter and IndieGoGo and understands the stress, uncertainty, and challenges with converting readers into campaign backers.